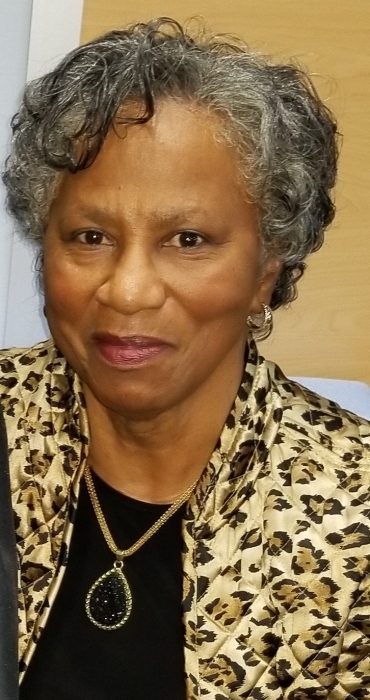 Hester Elizabeth Harmon "Sis", 74, went home to be with the Lord on Wednesday, September 12, 2018 at her Millsboro, Delaware residence. Sis was born on January 5, 1944 in Frankford, Delaware to the late Preston Sylvester, Sr. and Catherine Elizabeth Harmon. She was the oldest daughter of eight children. Sis attended George Washington Carver in Frankford. She went on to graduate from Jason High School, as Valedictorian, Class of 1961. As a child, her heart’s desire was to become a nurse. She was always very passionate about serving the needs of others. After spending more than 30 years at General Foods, and retiring as an Auditor, Hester pursued her true passion. She became a caregiver, visiting nursing homes, patients in their home – some she knew and some she didn’t. She simply loved helping anyone she could. Some of her hobbies included reading, word search, shopping, taking care of her plants, and watching TBN and HGTV. She was very neat and particular. Everything had to be in its place, clean, pressed, etc. While she didn’t mind hugs, she was careful that you didn’t mess up her makeup. She was a faithful member at Dagsboro Church of God, and was a speaker for the Senior Joy Luncheon. She loved the Lord with all her heart. Sis enjoyed spending time with her daughter, Valerie, grandchildren, and great grandchildren. She was the best friend to her grandchildren. Some of their adventures included shopping, eating out, and just enjoying each other’s company. The grandchildren and great grandchildren held a special place in her heart; they didn’t want for nothing. Hester made sure the family would come together for special occasions and the holidays; she loved to cook for her family. Chicken and dumplings was her favorite meal to cook. In addition to her parents, Preston and Catherine Harmon, Hester was preceded in death by three siblings; John Andrews, Charles Harmon and Preston Harmon, Jr.
She is survived by: one daughter, Valerie Johnson, of Dagsboro, DE; one sister, Sherry Hailey, of Dagsboro, DE; three brothers, Dale Harmon, of Newark, DE, Terry Harmon (Judy), of Frankford, DE and Anthony Harmon (Roslyn), of Georgetown, DE; two grandchildren, Dominique and James Harmon, Sr.; three great-grandchildren, Destini, Summer and James, Jr.; one sister-in-law, Gloria Andrews; two special cousins, Ester Long, and Priscilla Ringgold, a cousin William Andrews; a host of nieces, nephews, cousins, extended family, friends and her great-grand cat, Missy. Services for Hester will be held on Friday, September 21, 2018 at Dagsboro Church of God, in Dagsboro, Delaware. Family and friends may come for viewing and visitation from 10:00 a.m. to 11:00 a.m. The Celebration of Life Service will be at 11:00 a.m. Interment will immediately following at the Antioch A.M.E. Church Cemetery, in Frankford, Delaware. Pastor Keith Harmon will officiate.